2015.5 T5, with polestar kit, anyone have problem with passenger side BLIS being erratic in operation? 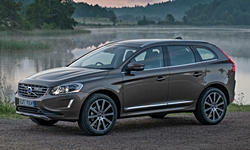 Unfortunately, you are joining the masses that have electrical issues with their Volvo XC60s. Nice car, but expensive to fix. There is a site that lists all types of electrical issues, many more serious than yours. I don't know how to fix this issue, unfortuantely, but would guess one of the sensors in the system is givng you an error. The drivers side monitor is prone to failure, and usually that sensor hsa to be replaced to resolve the issue. The only way to determine which sensor is the problem is to apply an electrical tester to each circuit until you find the fault, using Volvo exectrical diagrams. Here is the site I was referring to. Good luck.